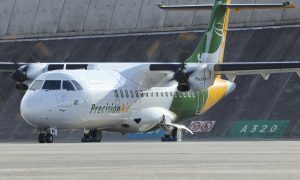 Tanzania domestic airline Precision Air intends to intensify its domestic operations by increasing frequencies on three major business and touristic destination Kilimanjaro, Zanzibar and Mtwara effective from 16th March 2014. Speaking at Precision Air Head Quarters, Precision Air’s Group Managing Director and CEO Ms. Sauda Rajab said Precision Air is responding to the increasing demand of air services in the domestic market. 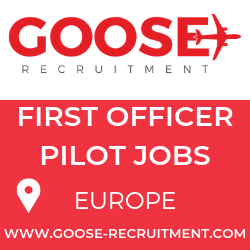 “Our performance has been tremendously good in these routes, and since we are upholding our mission to develop and provide superior air transport services that exceed customer expectation we decided to increase frequencies to meet our customers demand.” She added. 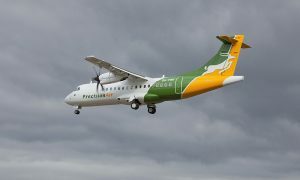 In the other hand, Precision air has also announced suspension of its operations between Dar es Salaam and Entebbe. Commenting on suspension Ms.Sauda said that Precision Air gave consideration to the routes with high demand and decided to suspend Entebbe operations so as to accommodate the adjustments on Kilimanjaro, Zanzibar and Mtwara. 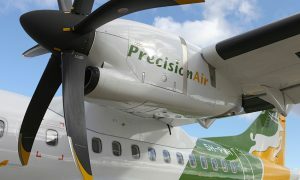 Precision Air is a local owned Airline operating daily to ten domestic and regional destinations. Operating from its main hub Dar es Salaam Precision Air flies to Arusha, Kilimanjaro, Mtwara, Mbeya, Mwanza, Bukoba ,Zanzibar and regionally flies to Nairobi, Entebbe and Hahaya.